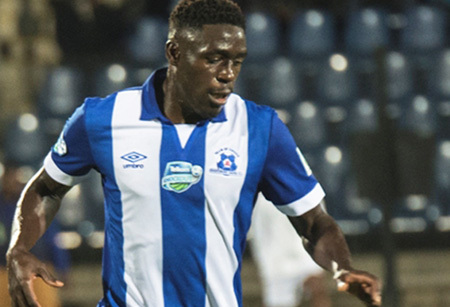 Maritzburg United are in action at the Harry Gwala Stadium tonight (Tuesday 3 November) as they take on Polokwane City in an Absa Premiership encounter, 19H30 kick off. United go into the game having lost 3-0 away to Mamelodi Sundowns on Saturday night, the Team of Choice yet to win in the league this season. Coach Clive Barker will be looking to employ his vast experience and motivational skills as he tries to guide his men back to winning ways. The former Bafana Bafana mentor says that he saw some a few positive signs in his team’s play against Sundowns, but concedes that they need to be more ruthless on attack. "We fought hard, I thought we set up chances, it just didn't quite roll for us…unless you have someone to put them in the back of the net, you are going to have a problem,” said Barker. “I think we played in patches [against Sundowns] and I thought at times we controlled the game, but didn't set up chances. There were a lot of good factors, but it's an uphill battle and we really have to work harder to turn it around, because if you work hard, you don't get punished in the game." "We need a goal desperately and if we can get that one, I am quite sure it will change our fortunes." Polokwane (14th place on the table) suffered a third defeat in four league matches when they lost 1-0 away to Jomo Cosmos on October 31. The two clubs have met in four league matches since 2013/14. Maritzburg have two wins to Rise and Shine’s one, there has been one draw. Maritzburg have a 100 percent home record against Polokwane, with two wins from two. Last season United earned a 2-1 home win, with Polokwane winning by the same score in the return game.